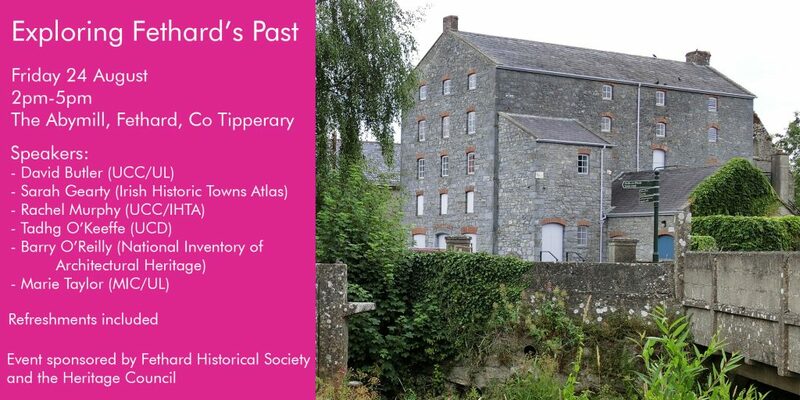 Join the Fethard Historical Society for an afternoon of talks about Fethard and its history, from medieval times through to the digital age. The event is free, but we would appreciate if you could sign up for a ticket. 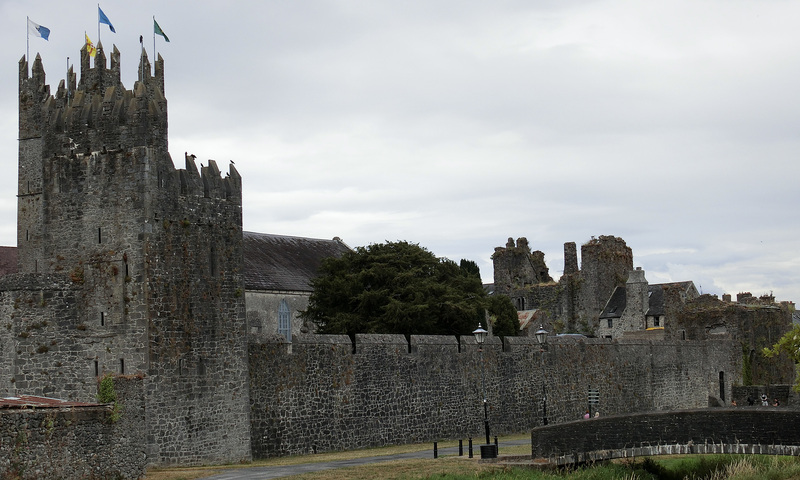 Register for a ticket to Exploring Fethard’s Past. Marie Taylor, a Fethard native, has a background in Historical Geography with a research MA from the Department of Geography, MIC and a PhD with Limerick Institute of Technology on Tourism and Community Development. She is a lecturer in Geography and Education in Mary Immaculate College, the University of Limerick and Limerick Institute of Technology. Her research interests focus on aspects of Human Geography and developing heritage and historic towns as aids to community development and engagement and as teaching aids. Marie was a research assistant on a number of projects including Mapping the 1901 Census for Limerick, the Mount Saint Lawrence Graveyard Project and Limerick City’s Retail History. She is author of a number of publications including co-author of a chapter in the recent More maps and texts: sources and the Irish Historic Towns Atlas (Royal Irish Academy, 2018). Dr Barry O’Reilly has worked in architectural heritage and archaeology for three decades. He lives locally and has a special interest in historic Fethard; he has studied the Town Hall/Almshouse in particular. His recent doctoral thesis at Oxford Brookes University focused on traditional hamlets in Ireland. He is currently finalizing a book on corrugated-iron buildings in Ireland and is one of the editors of the new edition of the Encyclopedia of Vernacular Architecture of the World. Otherwise, he works for the National Inventory of Architectural Heritage. Sarah Gearty is cartographic and managing editor of the Irish Historic Towns Atlas (IHTA) in the Royal Irish Academy. She has been responsible for the mapping and production of twenty-eight town atlases, six pocket maps and five ancillary publications from that project. She was also co-author (with Fergus O’Ferrall and Martin Morris) of IHTA, no. 22, Longford (2010) and co-editor (with H.B. Clarke) of Maps and texts: exploring the Irish Historic Towns Atlas (2013) and More maps and texts: sources and the Irish Historic Towns Atlas (2018). Rachel Murphy holds a PhD in History and Digital Humanities and a Higher Diploma in Geographical Information Systems (GIS) from University College Cork (UCC). Rachel is a postdoctoral researcher on UCC’s Deep Maps: West Cork Coastal Cultures project at University College Cork. She is a member of the Irish Historic Towns Atlas (IHTA) project’s Digital Working Group, and works as a GIS consultant on their digital projects. Rachel lectures in Local History at University College Cork and is a committee member of the Fethard Historical Society and project manager of the Digital Atlas of Fethard.